A perfect gift for all the "froganistas" who value unusual quality jewellery. 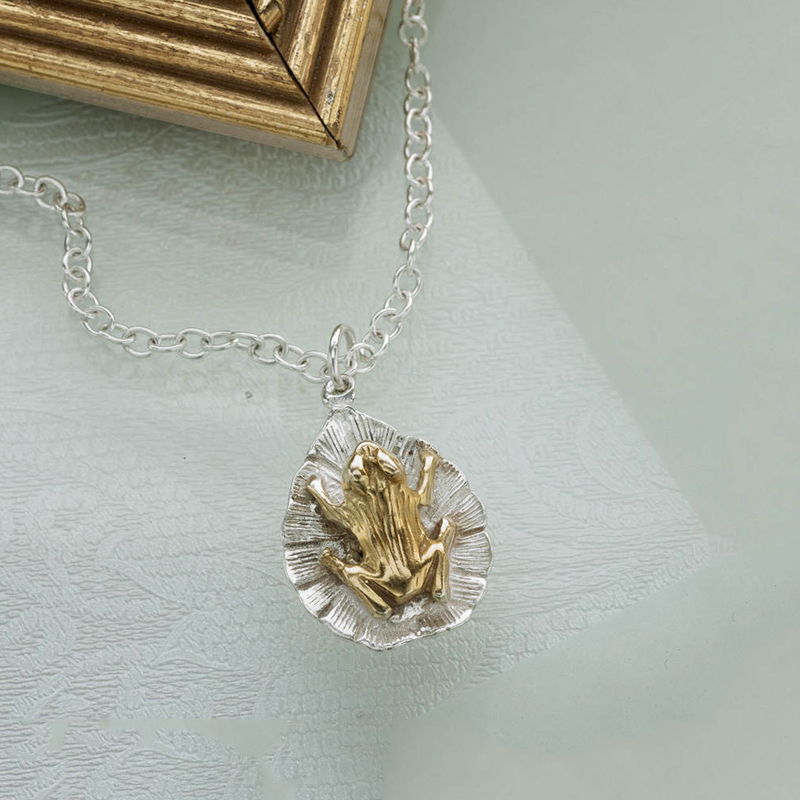 An artistic frog on a lilypad pendant made from solid Sterling Silver with 18ct Gold, including an 18 inches sterling silver chain. The attention to detail and the combination of two precious metals unmistakenly bear the Simon Kemp trademark. Nature lovers with an artistic penchant will not fail to be delighted by this 'poetic' pendant. This design carries a 10 years guarantee and is presented a black, stylish branded box. The pendant is made from solid Sterling Silver then layered with 18 carat gold for stunning effect. Dimensions: The pendant measures a width of 1.4cm and a height of 1.5cm. UK delivery is £3.50. Estimated delivery is 2-5 working days from order.